Requirement goes into effect for all students entering the ninth grade in the 2015-2016 school year as a graduation requirement. 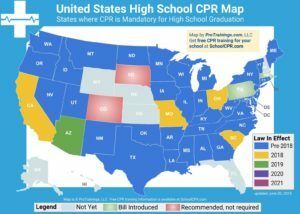 School districts must provide one time cardiopulmonary resuscitation (CPR) and automatic external defibrillator (AED) instruction in a class of their choosing. CPR education does not need to cover all victim sizes (adult/child/infant) but does require a hands-on component to training. Training must be developed by the American Heart Association, or the American Red Cross, OR be a nationally recognized company based on the most current national evidence-based emergency cardiovascular care guidelines for CPR and use of an AED. 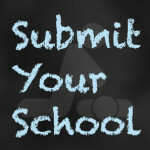 “(b) Beginning with students entering grade 9 in the 2015–2016 school year, a student shall complete, as part of the health or physical education curriculum, instruction in cardiopulmonary resuscitation that includes hands–only cardiopulmonary resuscitation and the use of an automated external defibrillator.